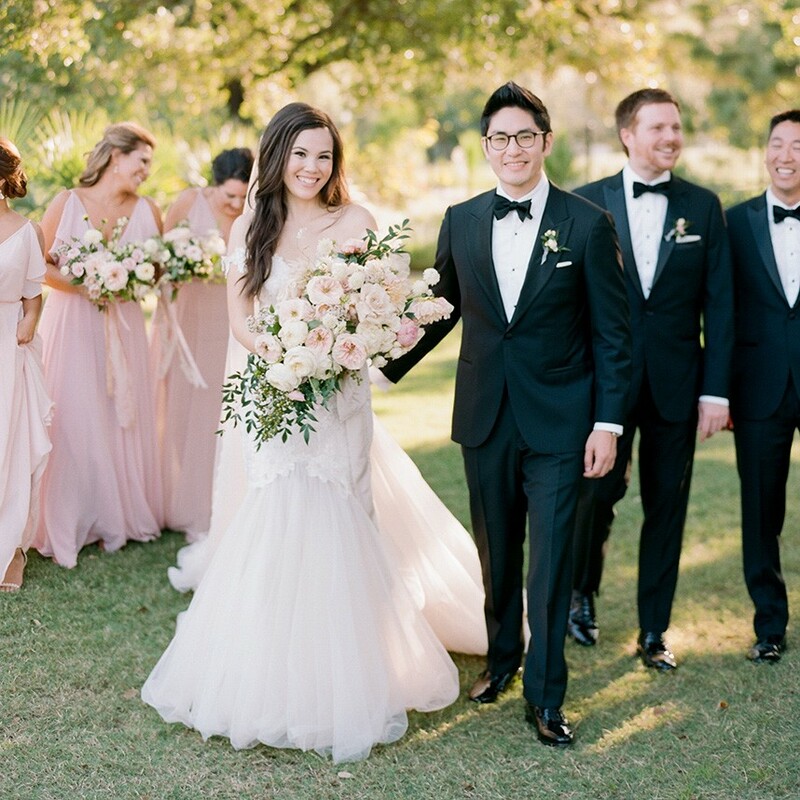 A truly beautiful event comes down to the details, and this Casa Rosa wedding inspiration capture by Josh and Dana Fernandez at The Dunlavy is full of all kinds of romantic details that will help make your dream wedding a reality! 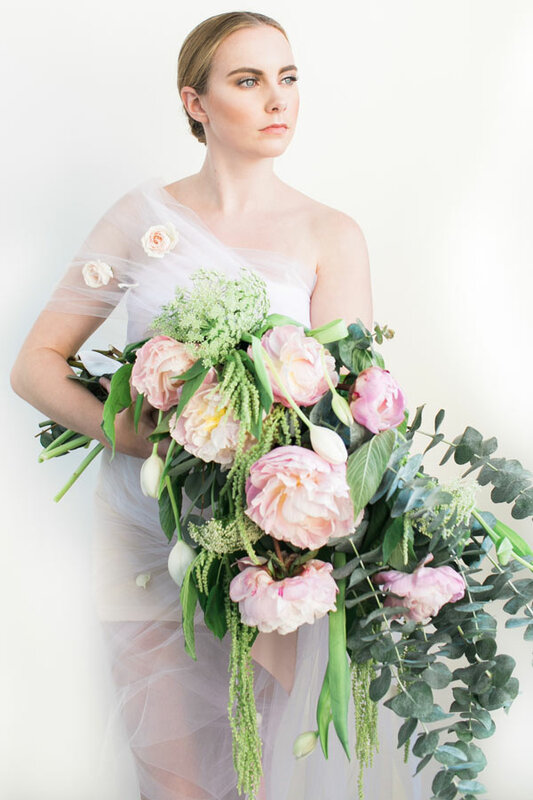 The talented designers at Mibellarosa created a stunning space filled with fresh, bountiful blooms — including a gorgeous bouquet. In fact, the space is filled with floral accents from the seating assignment on the window to the invitation suite and table names with calligraphy work from Half Moon Lettering. 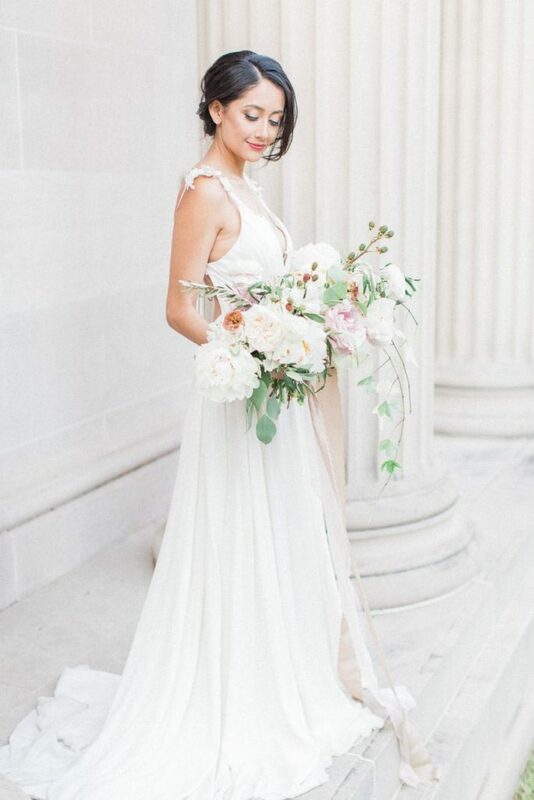 Surrounded by natural beauty, the model bride looks right at home with a soft, elegant style in a chic gown from Unbridaled with hair and makeup by Hey Lovely. 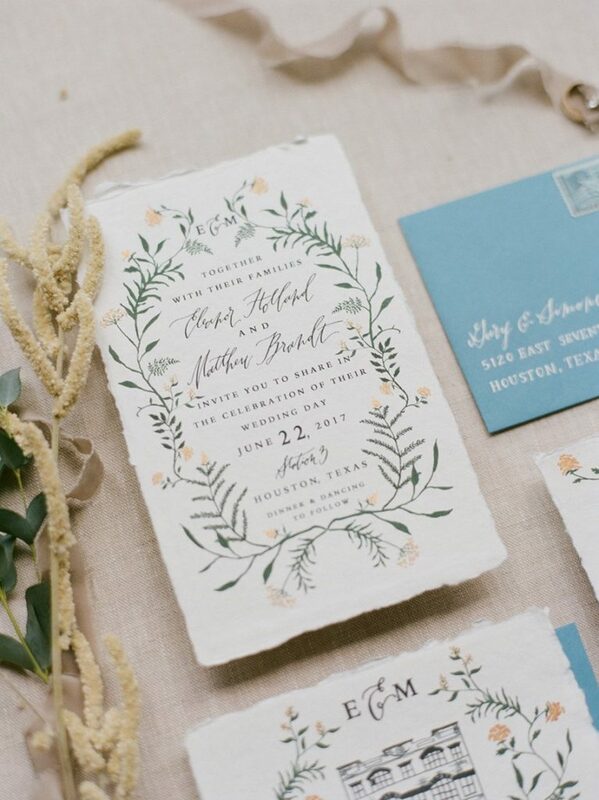 Enjoy browsing all this romantic, floral inspiration! 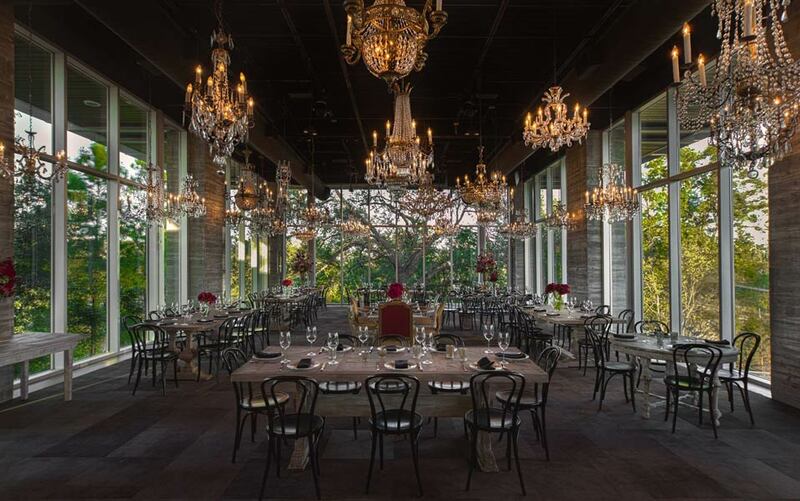 Local Venue Spotlight: Described as a glass tree house with contemporary design, The Dunlavy overlooks the banks of Buffalo Bayou and Lost Lake in Houston. As a private event space by night, this venue is perfect for intimate gatherings and celebratory occasions. 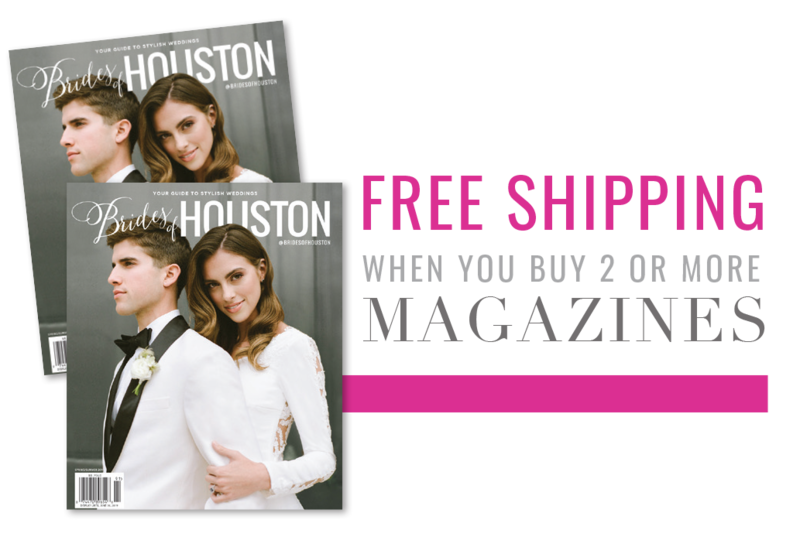 The Dunlavy is a spectacular location for hosting an even that your guests are sure to never forget!